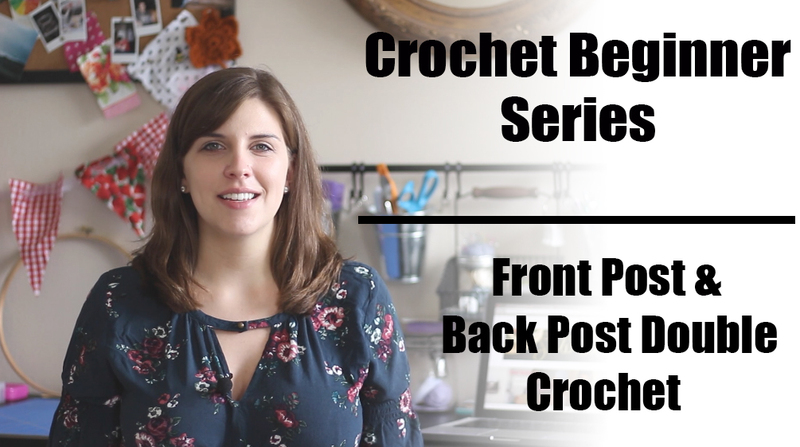 So today I’ve published the first 14 parts to my crochet beginner series! I’ll expand on this series at some point in my lifetime. Just kidding. But it will probably be a while. Don’t hold your breath. You may faint. So glad we had that talk. So this series is great for two kinds of people: beginners and experienced crocheters. What? You fall in one of those categories? Thought you might. For those of you who have never picked up yarn or a hook before – fret not! You’ll learn everything you need to know to get started hooking. I mean crocheting. No, I meant hooking. Either way, please begin at the beginning for that is the best beginning to begin! Or for those of you who have been crocheting for more years then I’ve been alive (I bow down to you) hopefully there is some stitch or technique here that you haven’t seen before / could use some review on. I hope to expand this series with more far out and totally tubular techniques. Or just regular ole stitches could work too. Alternatively, if you’ve been crocheting for 127 years and you know all there is to know and could teach me a thing or two please share this with your friends! and you think to yourself “Like I have the time to sit around teaching you to chain!” or you may be very sweet and it’s just me who thinks like that about her dear friends. I’m sorry friends. Either way, this is a great series to recommend – all of the segments are short and sweet with plenty of explanation (and slow motion!). It’s a great place to get someone going, and you get to work on all your WIPs (work in progress’s) while they learn the ropes with me! Now ain’t that a fine deal? Without further ado — in order beginning with part 1 — here it is ya’ll! Don’t forget to use the icons below to share on your own social media — invite your friends to learn to crochet too! « Asheville, NC Winter Vacation / Engagement!! !